The move eliminates the hassles of using cash for fuel bills and also strengthens Paytm's stronghold in digital wallets. 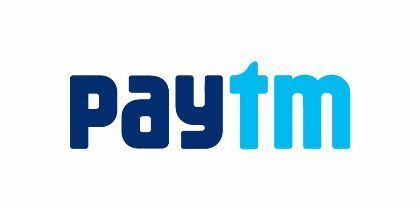 Paytm, India's largest mobile payments and commerce platform, has associated with Hindustan Petroleum Corporation Limited (HPCL) for cashless transactions of its strong 120 million user base. The company has entered into a partnership with HPCL to allow payments through the Paytm wallet at furl stations. The move eliminates the hassles of using cash for fuel bills and also strengthens Paytm's stronghold in digital wallets. "We are on a mission to make payments extremely simple and we are adding as many use cases as possible for users to transact using Paytm. Our partnership with Hindustan Petroleum is crucial in making these petrol pumps become cashless in the next few years. Payments through wallet will not only enhance convenience to customers but will also bring in more operational efficiencies thereby reducing queues at these pumps," said Sr. Vice President of Paytm, Kiran Vasireddy. HPCL North Zone Head, Shri Subodh Batra commented, "We are excited about this partnership with Paytm which brings in technology to make payments digitally possible in HPCL Petrol Pumps. Through this seamless operation of payment mechanism, we can foresee faster fuelling at our filling stations. By embracing this technology driven partnership we are confident that it will create a great value addition for customers across demographic profiles." Hindustan Petroleum has presence in cities across India with over 13,250 filling stations. Currently transactions take place majorly through cash followed by Credit and Debit cards. Payments through Paytm mobile app have the potential to replace the traditional transactions in future.